Why We’re Seeing Declines Today. While yesterday was an overwhelmingly positive day for PPHM, today isn’t so great. In fact, currently (11:45), the stock is trading at $0.48 per share after a loss of $0.02 per share or 4.02% thus far today. While many investors may be concerned about the declines, I am not concerned in the least. The reality is that price movements in the market tend to happen through a series of overreactions. Therefore, while the news that was released yesterday was overwhelmingly positive, the reaction in the market was a bit more than what should have happened. 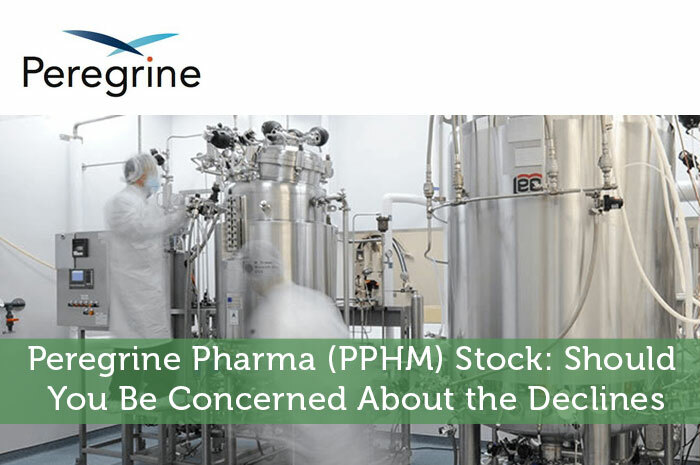 As a result, we’re seeing a correction today that’s bringing the value of Peregrine Pharma down to a more sustainable rate before growth continues. Moving forward, I have an overwhelmingly bullish opinion of what we can expect to see from PPHM. The reality is that the company has done a great job growing its current products and seems to be headed on a b-line toward overall profitability. All in all, things are looking great for the stock moving forward. Where do you think PPHM is headed moving forward and why?